Haha, I knew this was next. Looks a good price for an extreme sd, but is it ok for a dash cam? 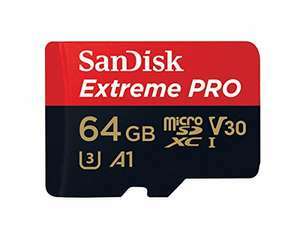 I've got the SanDisk Extreme (not Pro) on my phone, really fast card I think it's an overkill for a a dash cam @Askrulous unless you are recording in 4K.